Smart Space builds heavy duty structural stairs to meet IBC, OSHA, BOCA and UBC Codes. Smart Space builds heavy duty structural stairs. 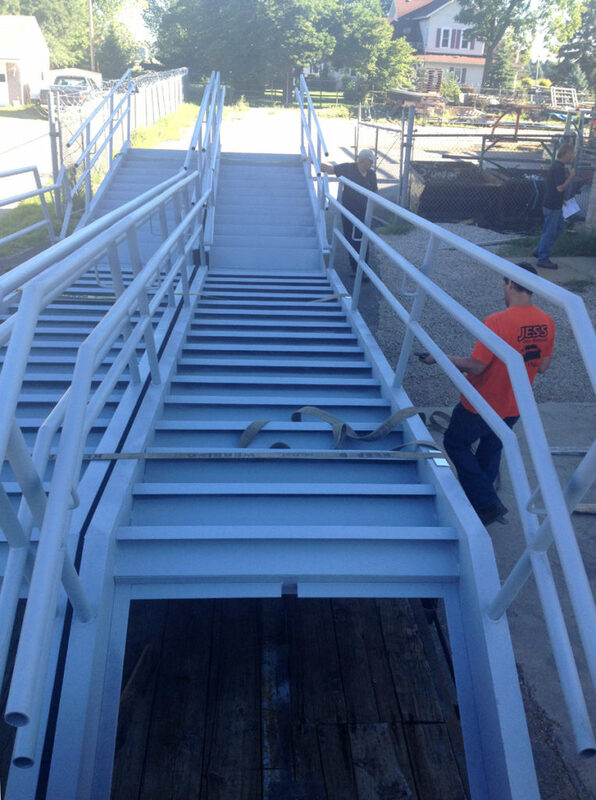 The unit pictured is a fully welded stairs built to meet IBC 2012 industrial use. The stair treads shown are diamond plate closed treads and closed risers. 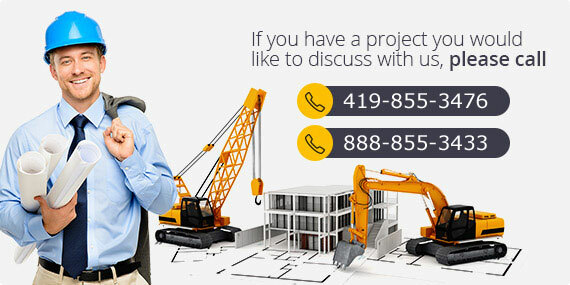 The stringer is a structural steel channel and the railing is schedule 40 pipe. 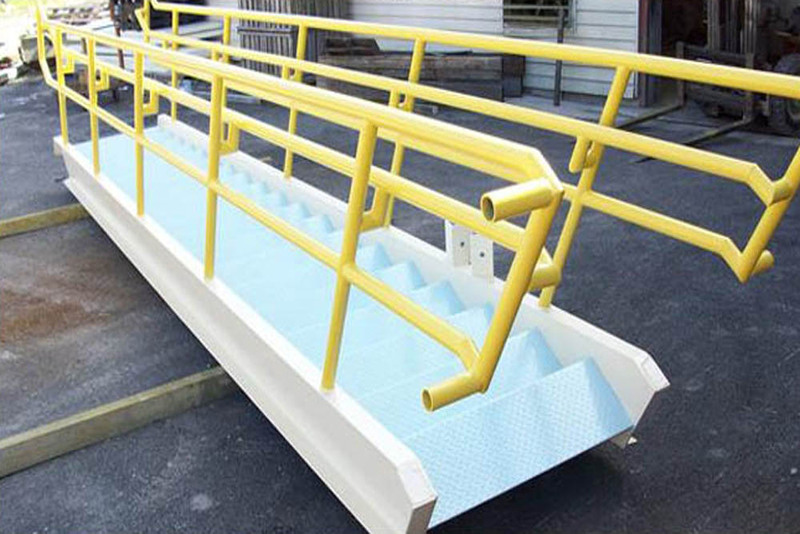 This customer requested two custom colors to be used along with our standard safety yellow handrail. Custom metal stairs, interior metal stairs, metal stairways for buildings, custom metal stairway, prefabricated metal stairs, metal exterior stairs, pre fabricated metal stairs, steel stairs, IBC stairs and OSHA stairs.